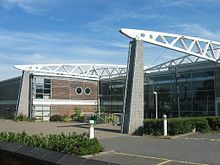 In England, a City Technology College (CTC) is a state-funded all-ability secondary school that charges no fees but is independent of local authority control, being overseen directly by the Department for Education. One fifth of the capital costs are met by private business sponsors, who also own or lease the buildings. The rest of the capital costs, and all running costs, are met by the Department. City Technology Colleges teach the National Curriculum, but specialise in mainly technology-based subjects such as technology, science and mathematics. Like maintained schools, they are regularly inspected by the Office for Standards in Education. CTCs also forge close links with businesses and industry (mainly through their sponsors), and often their governors are directors of local or national businesses that are supporting or have supported the colleges. The programme has been successful in the long term with all the CTCs being considered strong establishments with consistently high academic results. The CTC programme was established in the late 1980s by the Conservative government under the terms of the Education Reform Act 1988 and the Colleges themselves opened in the late 1980s and early 1990s. The original intention was to improve education inside cities, but the programme was hampered by the refusal of local authorities in the targeted areas to provide suitable school sites. Building entirely new schools was much more expensive, requiring a greater contribution from the government, and the resulting schools tended to be on the outskirts of cities. After the programme was abandoned, the government embarked on the more modest aim of designating some existing schools as Technology Colleges, the first specialist schools. The Learning and Skills Act 2000 introduced a similar type of school, the City Academy, later renamed Academy. Differences from CTCs include halving the financial commitment of the sponsor, and being bound by the Schools Admissions Code. The Labour government encouraged CTCs to convert into academies. ^ a b c d "CTCs (City Technology Colleges)". Department for Children, Schools and Families. Archived from the original on 4 March 2005. Retrieved 11 November 2008. ^ Smithers, Alan; Robinson, Pamela (2009). "Specialist science schools" (PDF). Centre for Education and Employment Research, University of Buckingham. Archived from the original (PDF) on 2009-02-06. ^ "House of Commons Hansard Written Answers". UK Parliament. 2002-05-19. Retrieved 2008-11-11. This page was last edited on 9 December 2017, at 22:38 (UTC).